We are offering MS Scrap to our customers. Our enterprise has received a sterling standing in the nation by providing to our customers a wide spectrum of MS Scrap. Owing to their usage in recycling and reusability in different industries, these offered scraps are widely recommended. Also, these are assured by us to get delivered on time. We are placed along side the specialized providers of MS Scraps that are collected from abolished factories & buildings and abandoned automobiles. Before making these products available in the market, our professionals stringently check these scraps for their quality. 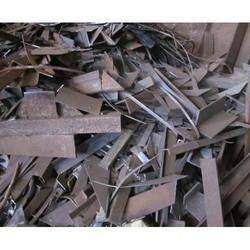 The company has excelled in the business of offering MS Mix Scrap that is free from impurities. The MS Mix Scrap is largely used for a number of industrial applications. Clean short steel or wrought iron turnings, drillings, or screw cuttings May include any such material whether resulting from crushing, raking, or other processes. Free of springy, bushy, tangled or matted material, lumps, iron borings, non ferrous metals in a free state, grindings, or excessive oil. Years of involvement in this field has enabled us to provide supreme quality MS Bundle Scrap. Owing to our vast network of transportation system, we are able to deliver the offered product under a given time-frame. We deal in Steam Coal - Indonesian and South African. We also deal in MS Scrap from Europe. 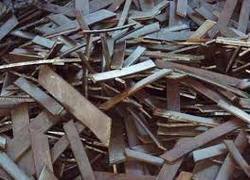 We offer a vast range of Industrial M.S Scraps and metal wastes from the milling and metallurgical industries. These Industrial M.S Scraps are available in various grades like 304, 316, 310 and 202. Moreover, our clients can avail this product in different grades of quality as well varying quantities. These are used in a host of industries such as tools, machinery and heavy equipment sector.